No. 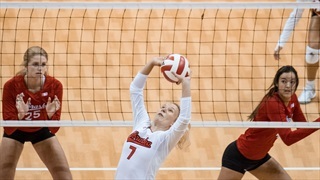 5 Nebraska (2-1) made short work of Ohio (1-3) on Friday afternoon, sweeping the Bobcats in 67 minutes to open play in the Americas Players Challenge at the Devaney Center. 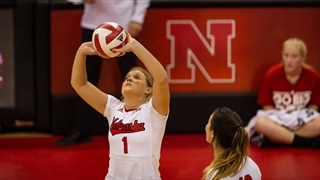 Scores in Nebraska’s favor were 25-17, 25-14, 25-17. 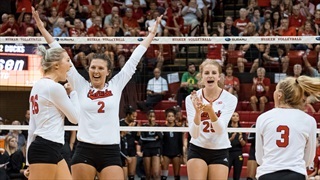 At the Red/White Scrimmage, Nebraska fans got their first look at Mari Kurkova, Nebraska’s newest setter, and her journey to Lincoln is unlike any of the other Huskers that took the court on Saturday.